Maybe the smartest kid I knew at Cal was one of my roommates, Tom Bull. He was a star student in physical chemistry, whatever that is, and Cal had one of the best faculties in the world on that subject. He was very bright — in science and math. Naturally, he assumed he was smart about things like politics. He was very impressed with the political thinking of Albert Einstein. Now Al was as bright as you get — in science. In politics he was a child, a half wit. He had absolutely no idea of what he was talking about. Herbert Hoover was one of the great engineers of the 20th century. 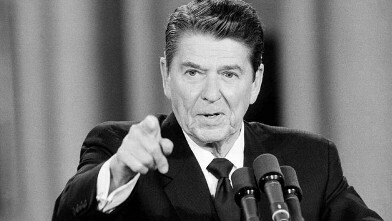 Politically, he destroyed the Republican Party for generation. Jimmy Carter was an engineer, or so he claimed. Read, and weep. When I was elected to the Alaska Senate, the Republican Speaker of the House was an engineer named Joe Hayes. He singlehandedly did more damage to the Republican Party in Alaska than any man I knew. I have theories about why engineers are such lousy politicians, but what matters is that so many of them are political progressives, or liberals. Silicon Valley is a gold mine for Democrats. Almost all the megastars there are progressives, and they share their wealth for the cause. This is a problem. And this is why the Freedom to Work initiative is so important. It drives a wedge between the techies and the Democrats. I talked to Lew Uhler about it this morning, and he’s all in. His NTLC has been heavily involved in California initiative campaigns for over 30 years. He told me the guy to draft this thing is a Sacramento lawyer named Tom Hiltachk. For this sort of thing, he’s the go to guy in the state. It turns out Bob Naylor, a member of our old College Young Republican crowd, is associated with this firm, so I asked Bob to get a quote on what it would cost. The good thing about Hiltachk is that if anyone else was pursuing this idea, he would know about it. Because if you know what you’re doing you would call him about it first. Lew says we want to submit the language the first week of November. The 60 day review process will be completed by January, giving us 150 days before the June cutoff date to get signatures. Lew explained that because the 2014 turnout was low, we’ll probably only need half a million valid, or 750,000 total, signatures. He says you want to “earn” 1/3 of your signatures, since that forms the basis of your campaign to pass the initiative once it’s qualified. The other 2/3 you pay $2 each for. His best idea was having all the Uber drivers in the state carry the petition in their cars, and solicit passengers for signatures. I’m guessing there are 30,000 Uber drivers in California. If every one of them got 25 signatures, you wouldn’t have to pay for any. I think I’ve met a big Uber investor, a Kasich bundler named Greg Wendt. I’ll see if he’ll take my call on Monday. This is worth pursuing. I found out this lawyer, Hiltachk, is a partner in Bell, McAndrews and Hiltachk, and the McAndrews in question is my old friend from Cal YR’s, Colleen McAndrews. Colleen’s former husband, Pete, from St. Mary’s College, was the ringleader of our YR group, and he arranged for me to made Chairman of the Berkeley YR’s when I got back into Cal as a junior. Colleen didn’t know any of us at the time, and she called me up, out of the blue, and said she wanted to meet me. She’d been to some college Republican leadership seminar in D.C., and she had a lot of ideas. I told her to come by my apartment Saturday morning and we’d talk, and then I forgot about it. So when I answer the door I’m in my underwear.